Social media is not only the privilege of the young but for all ages. According to experts, elderly who use social media actively feel less alone and their motivation is boosted. Thanks to technological advances in the last decade, social media and online communication have become huge parts of our lives. 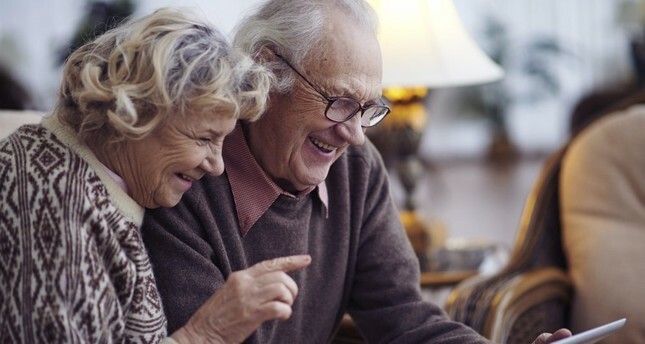 Senior citizens over 65 have become more involved in online communication as it makes it easier for them to get in touch with their family and friends. Social media also enables the elderly to be involved in new social circles. Speaking to Anadolu Agency (AA), social media expert associate professor Levent Eraslan said the elderly who post on social media platforms experience boosts in self-confidence and in their feelings of social belonging. Eraslan said the social media presence of the young has been declining in the last couple of years but that the elderly use social media more actively to catch up with trends. On the other hand, associate professor Eda Karacan of Ufuk University's Department of Psychology said social media platforms are one of the best places for the elderly to socialize. "When it is used safely, social media use helps the elderly form new social engagements and continue their relations with their peers. It has been proved that social media has a positive effect on depression symptoms as well as physical illnesses. It is also a known fact that the more socially active the elderly are, the more they are satisfied with their lives," Karacan added.